Had a nice compliment from sis ADY. Its my pleasure to received this. Thanks for the compliment. 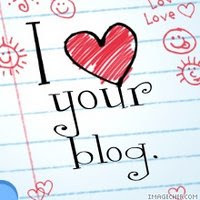 I am honored that you are taking time reading my blog and you love it. Since you already had this compliment image, I would like you to know that your's is great also I love your blog. I would like to give this compliment to Sis buntis AKA Pinaysmile Twerlyn, PinayMommy and SHENG. All your blogs inspired me. I learned and read a lot of things from it. thank you so much for this! very, very sweet of you! and thanks for being a friend! god bless! Welcome sis-:) I am always SWEET my husband said heh..